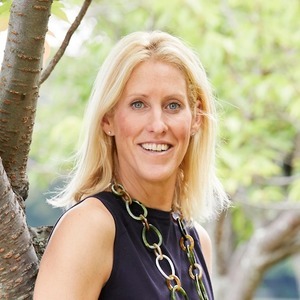 A 15+ year resident of Brookline, Hilary Maddox has high energy, a knack for numbers, and a passion for real estate. Hilary began her career in finance, spending six years in investment banking and venture capital before deciding to get out from behind the desk. She now uses her problem-solving skills, specialized market knowledge, and negotiating skills to help her clients' meet their real estate needs. Hilary is known for her enthusiasm, strong work ethic, trustworthiness and winning attitude. Hilary grew up in a family that loves renovating. She has always had an an eye for design and a deep appreciation for the architectural integrity of a house. She also loves the challenge of a project: she recently completed a gut renovation of her 1890’s Pill Hill home, where she now lives with her two sons. Hilary moved to Brookline at the age of six, where she attended the Park School before Groton School and Princeton University. At Princeton, she captained the Women’s Lacrosse team, leading the team to the National Championship Finals. Hilary brings the same high standards of leadership, dedication and teamwork to her real estate practice. She is committed to working hard, while having fun in the process. When she's not working or playing with her kids, Hilary loves wearing through her running shoes, exploring new restaurants, and finding the next best place to travel. Arthur Bowditch, a noted Boston architect in the late 19th and early 20th centuries whose works included Downtown Crossing’s Paramount Theatre and what’s now Boston University’s Myles Standish Hall, designed the shingle Victorian at 12 Maple Street in Brookline for himself. The 4,827-square-foot, 12-room house is on sale now through Compass for $2.1 million. The 17-room, 8,475-square-foot mansion at 294 Buckminster Road in Brookline’s Fisher Hill neighborhood dates from 1900, but the expanse was thoroughly renovated in 2014. It’s on sale now through Compass for $5.5 million, making it one of the pricier single-family listings to debut in the Boston area in a while. The house offers original period details, and the architecture is “Jacobethan influenced,” per the listing—basically a branch of Tudor. There are six and a half bathrooms, a three-car garage, six fireplaces, a two-story foyer, and the potential for six bedrooms.